The DP Challenge over at WordPress this week asks us to stretch our imaginations to include imagery. Detail a three to five step story or process, and illustrate each of the steps with something visual. I suppose I could begin, er, from the beginning. I wanted to write and decided to simply get started. I posted once about my elementary adventure of writing about a space toaster, or something like that; my honorable mention garnered me a coveted space in the local electric company newsletter. 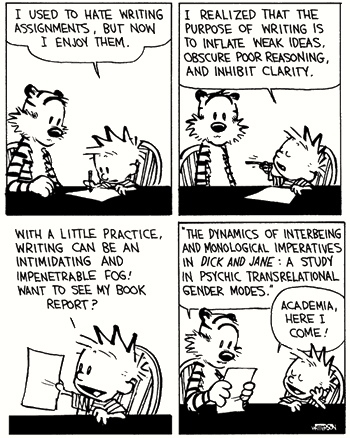 Then I moved on to do academic writing, which in and of itself is more of an adventure than my space toaster experience; just ask Calvin.